Credit cards give consumers purchasing power may it be through instant credit purchases or through cash advances. This is one of the reasons why credit cards are essential in this day and age. When money is tight, credit cards offer a way to stretch your budget in an instant and you can be worry free until more cash comes at hand. Aside from giving instant cash, credit cards are also filled with perks and rewards offering you more value for your money. 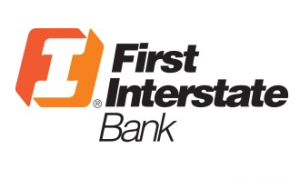 If you are looking for another credit card to apply for then you should check out what First Interstate Bank has to offer. First Interstate Bank is one of the finest banks in the nation with over $7.1 billion in assets. They have more than 71 branches nationwide with over 100 ATMs that their clients can instantly get access to. Some of their famous branches are located in Montana, South Dakota, and Wyoming. Others who want to transact with the bank in convenience can also check their online site where all questions will be answered instantly. People will really be able to get hold of financial assistance when they will inquire with First Interstate Bank just like in terms of their credit cards. One of the famous cards they have that many people are applying for is the VISA Platinum First Rewards Card. Many people are applying for VISA Platinum First Rewards Card because of the points they will earn when they will make purchases. For a dollar spent using their credit cards, they will earn a point that they can redeem whenever they have enough of it. In terms of rates, a 3.99% introductory APR is offered for the first six months and after that the APR will be 7.25% to 19.25% depending on the card holder’s creditworthiness. This is already a good rate compared to other credit cards in the market today.